Welcome to Hilltop Florist in Eastwood. 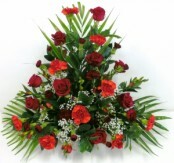 We are Eastwood's Premier florist situated on the Nottinghamshire & Derbyshire border, Hilltop Florist Eastwood is a family run business established in 1987. 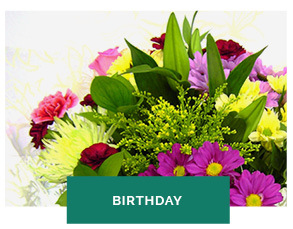 Senior florist Karen-Louise has over 24 years in the floral industry. Our aim is to offer you a personal and professional service with choice quality flowers direct from Local & Dutch flower suppliers. 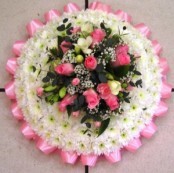 For same day flower delivery Call us on 01773 713 459 All Major Credit/Debit cards accepted.. In 1985 a partnership was formed by Steve and Karen Louise in Radcliffe on Trent where the both of us worked, Karen started in a florist shop where she then attended Clarendon College in Nottingham passing City and Guilds in floristry. Steve worked in the greengrocers next door due to our bosses ill health and by the selling of the two shops we decided to go it alone and join forces. 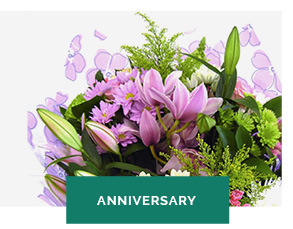 In 1987 we moved to Eastwood opening Hilltop Florist which is situated at Hilltop just outside of the town centre in the heart of D H Lawrence birth place Eastwood on the Nottinghamshire and Derbyshire border. Speciality Fruit Baskets and Hampers made to order. 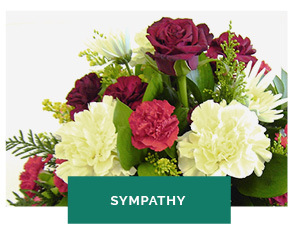 All types of Sympathy Flowers undertaken.